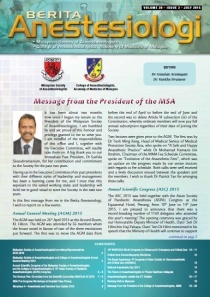 It has been about two months now since I began my tenure as the President of the Malaysian Society of Anaesthesiologists. I am humbled by and yet proud of this honour and privilege granted to me to serve you. I am mindful of the responsibilities of this office and I, together with my Executive Committee, will readily take them on. A big thank you to our Immediate Past President, Dr Sushila Sivasubramaniam, for her contribution and commitment to the Society for the past two years. Having sat in the Executive Committee of six past presidents with their different styles of leadership and management has been a learning curve for me, and I trust that this exposure to the varied working styles and leadership will hold me in good stead to steer the Society in the next two years. In this first message from me in the Berita Anestesiologi, I wish to report on a few events. Two lectures were given prior to the AGM. The first was by Dr Teoh Ming Keng, Head of Medical Service of Medical Protection Society Asia, who spoke on "A Safe and Happy Anaesthetic Practice" while Dr Mohamad Namazie bin Ibrahim, Chairman of the MMA Fee Schedule Committee, spoke on "Evolution of the Anaesthetic Fees", which was an update on the progress made by our senior doctors with regards to fee schedule. Both talks were well-received and a lively discussion ensued between the speakers and the members. I wish to thank Dr Patrick Tan for arranging these talks. 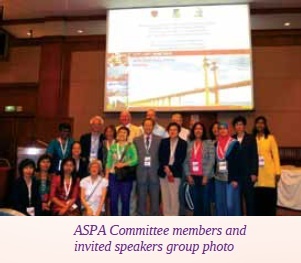 The ASC 2015 was held together with the Asian Society of Paediatric Anaesthesia (ASPA) Congress at the Equatorial Hotel, Penang, from 10th June to 14th June 2015. I am pleased to announce that there was a record-breaking number of 1160 delegates who attended this year's meeting! The opening ceremony was graced by our Honourable Deputy Minister of Health, Dato' Seri Dr Hilmi bin Haji Yahaya. Dato' Seri Dr Hilmi mentioned in his speech that the Ministry of Health will continue to support the anaesthesiologists in the delivery of safe anaesthesia. The Malaysian Society of Anaesthesiologists conferred Honorary Membership on Dato' Dr S Jenagaratnam during the opening ceremony. Dato' Jena, as he is popularly known, was a former President, as well as Chairman of the Society. The Scientific Committee drew up an excellent scientific programme. There was something for everyone; there were a total of eight pre-congress workshops, of which, six were held at the hotel and two at Hospital Pulau Pinang. Some of these workshops were so well-attended that the local organising committee had to, very swiftly, make alternate arrangements so as to accommodate all who desired to attend. It was not all work at the Congress; play came in the form of a "durian party" held at the hotel and a fun hike. Our delegates were certainly all dressed to the hilt in accordance to the theme of the Gala Night - "Glitz and Glamour". It was just the right mix of friends, food and great entertainment. I will let the pictures in the Berita do the talking! It was an honour to have Datuk Dr Noor Hisham bin Abdullah, our Director-General of Health, as the guest of honour. Lastly, I would like to thank the Main and Local Organising Committees of the ASC, the Organising Committee of ASPA and the Scientific Committee for a job well done. The ASC and the ASPA Congress was a huge success. This year's meeting will be held in Yogjakarta from the 27th to 30th August 2015. Members who are presenting posters or oral presentations, can apply for financial subsidy from the Society. Please refer to the Society's website for further details. The availability of this drug was discussed at length at the AGM. Please take note that this drug is now available in most general hospitals. Anaesthesiologists in the private sector who require this medication should get in touch with the nearest general hospital to obtain it. Please refer to the Society's website to obtain a list of hospitals which carry this drug and the procedure involved in procuring it. The Klang Valley CPD programme will continue to be organised in rotation by the University of Malaya, the Universiti Kebangsaan Malaysia, the Hospital Kuala Lumpur and the Institut Jantung Negara. The 4th UMMC Regional Anaesthesia workshop will be held from 23rd to 24th August at the University of Malaya. I would like to take this opportunity to urge the rest of the institutions and hospitals to make use of the funds allocated by the MSA for the various regions to initiate and organise as many CPD activities as you can. Needless to say, continuing professional development is necessary as we strive to raise our standards of practice. Do check the website for updated news on upcoming events. Anaesthesia Day is celebrated on the 16th of October globally as this is the anniversary of the day in 1846 where ether anaesthesia was demonstrated publicly in Boston, Massachusetts. In conjunction with the National Anaesthesia Day, Hospital Kuala Lumpur will be hosting celebrations with the MSA and the CoA jointly on 17th October. Hospitals willing to host these celebrations are urged to hold it on the 17th of October as well. "Safe Anaesthesia is a Basic Human Right" is this year's theme and as in every year's celebration, the greater intent is to improve the public's understanding of anaesthesia and what anaesthesiologists do. Do get your hospital to organise this event and your hospital will receive a subsidy of RM1,000 for expenses incurred. Any hospital celebrating this day can get the logo for the National Anaesthesia Day from the Secretariat. The membership of the Society stands at a total of 783 members as of 30th March 2015. I wish to highlight here that membership to the Society is open to all medical personnel in the field of anaesthesia be they medical officers or allied health personnel; please note it is not just limited to specialists. The Society has subscribed to six journals online. Members are advised to obtain their username and password from the Secretariat and to make use of this facility to keep themselves abreast with the latest developments. If any member faces problems in relation to the interpretation of the anaesthetic fees in the 13th Schedule of the Private Facilities and Services Act (2013), you are advised to write in or email the Secretariat for assistance. The Executive Committee welcomes constructive feedback from the members so that we can better serve our collective interest. Lastly, I would like to wish all my Muslim friends and colleagues "SELAMAT HARI RAYA AIDILFITRI, MAAF ZAHIR DAN BATIN" and to all of you "SELAMAT HARI MERDEKA". 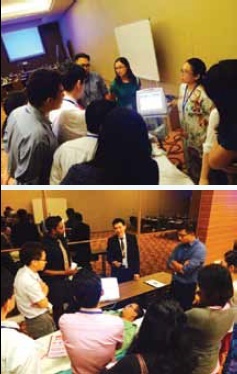 On the 26th of April 2015, the College of Anaesthesiologists, in collaboration with the Malaysian Society of Anaesthesiologists, conducted the Annual General Meetings of both organisations at the Hilton Hotel, Kuala Lumpur. It was attended by 36 participants. Before the commencement of the AGM, two interesting talks were presented. Dr Teoh Ming Keng, Head of Medical Service of Medical Protection Society Asia, spoke on "A Safe and Happy Anaesthetic Practice" while Dr Mohamad Namazie Bin Ibrahim, Chairman of the MMA Fee Schedule Committee, spoke on "Evolution of the Anaesthetic Fees". The practice of anaesthesia in the current litigious environment compels the Anaesthesiologists to adopt a different approach to patient care. Knowledge and skills in Anaesthesia are not enough to achieve satisfaction in providing patient care. The Anaesthesiologists must acquire skills in the ability to communicate with patients and portray empathy and compassion when interacting with patients and their relatives. The practice of obtaining an informed consent is not merely obtaining signatures, but it involves a process which assists the patient to understand whatever he or she is going to go through to allow him or her to make an informed decision. When the outcome of patient care is not favourable, saying "sorry" and showing empathy and compassion towards patients and their relatives will usually avoid litigation. With the privatisation of healthcare services, how much is the work of the Anaesthesiologists worth? The Anaesthetic fee was formulated based on a fixed percentage of the surgeon's fee. However, over the years, the fee structure had evolved where the fee is based on the type of surgery and patient involved. This appears like a varying percentage of the surgeon's fee based on the minimal varying complexity of the anaesthetic. This fee structure had not taken into consideration the medical risks involved, complexity of the surgery and anaesthetic and the duration of surgery and anaesthesia. The future of the anaesthetic fee formulation is to adopt the "relative value system", which will take into consideration, all these consisting of the complexity of surgery and anaesthesia, patients' risks factors and duration of surgery and anaesthesia, including other factors like extreme of age and positioning of patient for surgery (prone). These two important aspects involving the anaesthetic practice will continue to be amongst the challenges faced by all Anaesthesiologists in general, and specifically those in private practice. Where do we go from here? The Malaysian Society of Anaesthesiologists, the College of Anaesthesiologists, Academy of Medicine of Malaysia and the Asian Society of Paediatric Anaesthesiologists organised a combined Scientific Meeting which was held from Thursday 11th of June to Sunday 14th of June 2014, at the Hotel Equatorial, Penang. 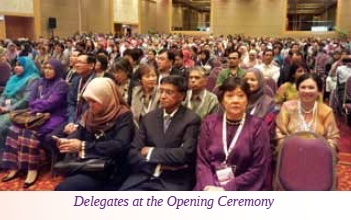 The Congress was held for the second time in Penang after an absence of nearly ten years since the last meeting in 2005. 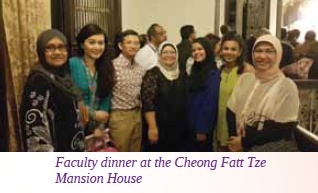 There were many who attended and had fond memories of the first meeting in Penang and decided to revisit Penang to learn the latest in the field and also to catch up with their colleagues. The Organising Committee came up with appropriate themes for the respective Congresses. The theme for the Annual Scientific Congress of the MSA/ CoA was aptly titled 'Anaesthesia in the New Era of Technology' and the theme for the 13th ASPA Congress was 'Making Paediatric Anaesthesia Safe'. Both themes centred the delivery of safe anaesthesia in an ever evolving world of technology and specifically for the paediatric tract, making the practice of anaesthesia safer for the children. A total of more than 1000 delegates, both local and foreign, and a total of 60 exhibitors took part in the Congress. An impressive list of 25 foreign speakers and 30 of our best local speakers were gathered to deliver lectures of outstanding quality and content. Before the Congress proper, there were also a total of eight pre-congress workshops that were conducted at both the hotel itself and at the Hospital Pulau Pinang. These workshops were also well-attended and some were oversubscribed to the point that additional arrangements were put in place by the local organising committee to ensure that everyone's interest was catered to. 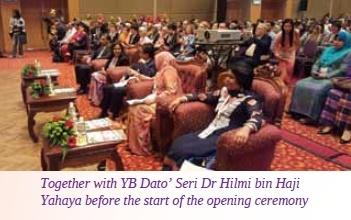 The opening ceremony was graciously attended by Dato' Seri Dr Hilmi bin Haji Yahaya, the Deputy Minister of Health and also the Member of Parliament for the Balik Pulau (Penang) constituency. The ceremony was a grand affair steeped in tradition where a group of young silat exponents showcased their exquisite skills to the delegates. This was followed by a performance of traditional musical instruments by a Gamelan orchestra. In his welcome address, Dato' Seri Dr Hilmi bin Haji Yahaya was very appreciative of the efforts put in by the Main and Local Organising Committees in delivering a congress of this magnitude and reiterated that from the standpoint of the Ministry of Health Malaysia, the roles and contributions of the Anaesthesiologists are appreciated and they will continue to support us by providing the necessary framework, equipment, medications and other logistics required in rendering the practice of anaesthesia safe. A citation was read during the Opening Ceremony on Dato' Dr S Jenagaratnam by Dr Mary Suma Cardosa before he was conferred the Honorary Membership of the Malaysian Society of Anaesthesiologists. It was all not purely work throughout the four day meeting as there were plenty of activities planned by the Local Organising Committee. The delegates were also treated to a durian feast which was held at the hotel itself. 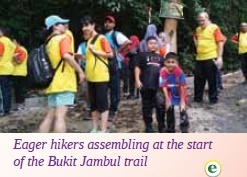 A fun hike up the Bukit Jambul Trail was also part of the itinerary and despite the earlier downpour, a few enthusiastic delegates desired to brave the slippery slopes and successfully tackled the trail. As customary with all our Annual Scientific Congress, everyone eagerly awaited the Gala Dinner which was also well-attended. The theme of the night was "Glitz and Glamour" and the attendees did not disappoint. Many came dressed elegantly to fit the theme of the night. 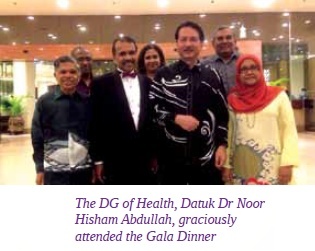 Our Director- General of Health, Datuk Dr Noor Hisham bin Abdullah, attended the dinner as the guest of honour and joined in the camaraderie as well. All in all, after nearly four days of workshops, meetings, talks and discussions, it was evident from all who attended that the Congress was a resounding success and kudos to both the Main and Local Organising Committee, as well as the Scientific Committee for pulling off a great job. Growing up immersed with Enid Blyton's stories, the adventures of the Famous Five resonate strongly within many of my generation. Alas...This is not the adventures of Enid Blyton's Five, but of the five members of the MSA/CoA Scientific Committee. I was prompted to chronicle the journey of the Scientific Committee (SC) for varying reasons. Primarily, to pay tribute to all (past and present) individuals who have undertaken the position as Scientific Committee Members and secondarily, to encourage the many capable to take this journey as part of the SC. It is always with care and trepidation that all Scientific Committees are formed. This group essentially is the core strength that formulates a rich scientific programme. The scientific programme is akin to the elixir of life to the conference. Blowing the trumpet one might say. 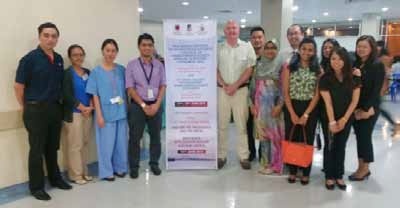 We convened our first meeting at the Department of Anaesthesia and Intensive Care, Hospital Universiti Kebangsaan Malaysia in August 2014. A dynamic individual blessed with abundance of wit, Assoc Prof Dr Raha Ab Rahman played host as Chairperson for the SC of the MSA/CoA ASM 2015. Alongside with her and playing host too, was the only existing knight in shining armour for this group, the charming chivalrous Dr Muhammad Maaya. 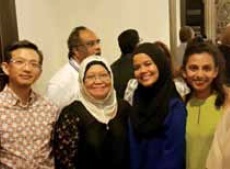 Joining them were myself and the duo with dynamic personalities, potent infectious smiles and intelligence to match, Dr Julina Santhi Johami and Dr Norliza Mohd Nor. The first meeting is ingrained deeply within my memory. It was to last the longest as it covered the basic frame work of the programme and the direction this intended programme would take to showcase itself. Working camaraderie is paramount to success, and it was evident that the SC was richly infused with these traits and all basic ingredients to succeed. As we sat for the first meeting and various other meetings to come, humour and wit set the tempo of precedence. One often ponders about the workings of the SC. The architectural blue print of the scientific programme is the domain of the SC. We shoulder the responsibility of working with the convenors of the respective Special Interest Groups to ensure that appropriate topics are selected. Much thought and time are given to suggestions of invited speakers and their proposed topics of presentations. At times, one has to don multiple caps of the liaison person or maître d' of sorts ensuring that travel arrangements and requirements of speakers fit snugly into the scientific programme. A sprinkle of patience, a barrel of communicative skills, a jug of humour and a sense of urgency are highly recommended. Relevant workshops that appeal to the vast majority of the fraternity and that follows the current trend of the practices are often sought after. A great amount of thoughts is spared to the planning of the Pre-Congress workshops. Most of the workshop facilitators are seasoned and proficient in the conduct of their sessions. The start of the journey to the workshops for the SC is often fraught with trepidation filled with anxiety. Will these workshops collectively appeal to all? Will people register for them? Do we have a backup plan should there be no takers for registration? The challenges of the SC are in communicating and coordinating various requirements that are required for the success of the workshops. These requirements come in the form of equipment, models, materials, workshop room layout and so on. While challenges can come in various forms and persons, the journey is often filled with an abundance of success. The atmosphere of the workshops is often descripted as that of a fanfare. Intense, hands-on, flamboyant and fun are often descriptions coined for the workshops. The scientific programme itself requires attention to detail, to mitigate clashes of speakers' presentations and to see to their requirements, to ensure timings are planned properly, to allow for concurrent workshops, etc. These requirements are usually in the form of social activities or academic, as judges for the Young Investigators Award or poster presentations and others. While fun to plan, throw in 25 invited foreign speakers and 30 local speakers and compound them with their requirements, the speaker schedules and flight requirements and voila it is an amazing timetable challenge. Suffice to say, the scientific programme is never static, as there will be many changes occurring to the initial draft. A keen eagle eye for details and changes, an elephant's memory to keep track of changes and secretarial organisation skills certainly will be needed for the finer details and to complete the job. It does come across as daunting, doesn't it? Believe me, while its pens down as a job not for the faint hearted, the remuneration of the work process is exponential. There always is fair division of work and the more experience of the team members are always available to lend that hand of support. The noun that holds all things together is 'team' that works cohesively. Working simultaneously with the SC is the Organising Committee (OC) that in more than many ways, forms the protective arm around us. The OC provides sound advice and suggestions when in need, and takes on the tough decision-making that allow the SC to function with ease. This collaboration is analogous to a successful marriage. The sentencing maybe a little cliché and a tad too romantic you say? I agree, however, one may choose to sentence it, the message loudly resonates, and there exists a very strong collaboration between the SC and the OC. This strong partnership ensures that success prevails. There is abundance to write about the SC and its scope when the congress commences. I chose to end my chronicles with the above and allow for the next SC of the upcoming congress to pen their thoughts on their experiences. I conclude by thanking the team 'Famous Five' for the lovely privilege and hours of deliberation, fun, laughter and adventure lead by Assoc Prof Dr Raha Ab Rahman on our journey at the ASC 2015. 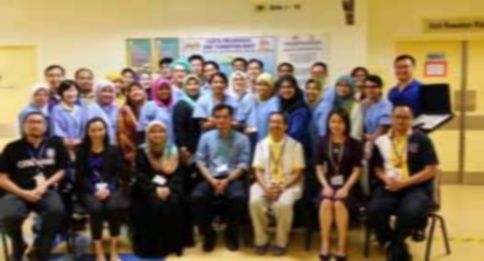 Two Pre-congress workshops for MSA Annual Scientific Congress 2015 were held in Hospital Pulau Pinang on Thursday, 11th June 2015; Deep Neuromuscular Blockade (DNB) and TIVA for Paediatric and Obese Patients. There were 30 participants for the TIVA workshop, more than the number that we initially planned as we could not reject all the enthusiastic participants at the last minute; and 25 participants for the DNB workshop. The workshops were done in HPP as we had live demonstration of cases in the operating theatres. The invited speaker for DNB workshop was Dr Shireen Tang, lecturer from UKM. She showed two laparoscopic cases (bilateral tubal ligation and herniorrhaphy). For TIVA workshop, Dr Oliver Bagshaw, Paediatric Anaesthetist from Birmingham Children's Hospital demonstrated TIVA in two children for herniotomy. Prof Dr Lim Thiam Aun from Universiti Putra Malaysia, gave TIVA to a Gynaecology patient with BMI of 40. On the whole, the workshops ran very smoothly and the participants were contented with the lectures, live demo in OT, interactive sessions with the faculty and the audio-visual transmission from OT to the seminar rooms. We attribute the success of these workshops to the hard work of the local organising team, our counterparts from Kuala Lumpur and the healthcare industries which helped to provide additional equipment, drugs and other sponsorships. On the 14th and 15th of May 2015, the 4th Perak Anaesthesia and Intensive Care Update was successfully held at the new Weil Hotel, Ipoh, Perak. It was organised with the aim of providing the latest updates in anaesthesia and intensive care for the northern region. It was part of an initiative to improve the daily practice of doctors and paramedics. It received a good response of about 200 participants for the two-day event. The emphasis of the update this time was on improvement of patient safety and thus, the theme for the event was "Safety is our priority". On the morning of the 14th of May, workshops were held for both doctors and the paramedics separately. Hemodynamic monitoring and neuroanaesthesia workshops were held for the doctors, whereas the paramedics had continuous renal replacement therapy and improvements in nursing practice in anaesthesia. Participants were pleased as they benefited from the lectures, as well as hands-on stations. In the afternoon, lectures were given by eminent speakers on bariatric surgery and anaesthesia for cerebral aneurysm surgery. The afternoon was made more special as we were honoured to have the national Head of Anaesthesia Services, Datin Dr V Sivasakthi, present to support the event. 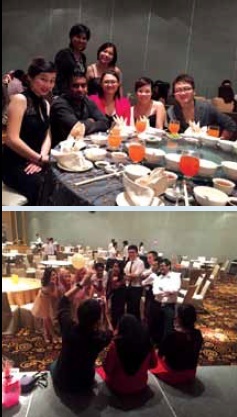 The much talked about and anticipated anaesthesia night was held in the Grand Ballroom of Weil Hotel. Tickets were sold out weeks prior to the event and the night proved to be a spectacular one. Aptly themed glamour night, many came dressed to impress and more than half of the crowd walked away with prizes from the lucky draws. Performances on that night dazzled the crowd as the staff from all levels-paramedics, house officers and medical officers showed off their talents on stage. The highlight of the night was however, the special performance by the consultants and specialists of the department. The dance routine struck the right chord with the audience. They were rewarded with a resounding round of applause from the crowd that night. The following day, there were talks by experts with regards to anaesthesia and intensive care. The event was officiated by the Director of Jabatan Kesihatan Negeri Perak, Dato' Dr Hajah Juita binti Ghazalie. The IT team led by our medical officer, Dr Chia Lip Han, presented an impressive multimedia show after the opening ceremony. 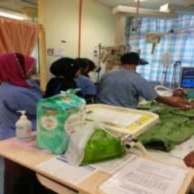 Thereafter, many aspects of anaesthesia and intensive care were covered such as deep vein thrombosis, safety in paediatric anaesthesia, updates in Caesarean Section anaesthesia, as well as updates in ARDS and hemodynamic management in the ICU. The final talk of the day was particularly interesting and an eye opener as it touched upon the hazards an anaesthetist faces daily at work. At the end of the event, Dr Kavita M Bhojwani, the Head of Department, delivered her closing remarks. She thanked all the participants who travelled from out of state to take part in the event and also gave her appreciation to her committee members for their hard work and dedication in putting together the event. The next Morpheus is planned for 2017. See you there! Ultrasound, crowned as the stethoscope of the new era, has brought about a cataclysmic change in the world of emergency and critical care, a paradigm shift in the practice of medicine. It all started small, just ten years ago, with basic building blocks, spearheaded by a few good men with far vision. WINFOCUS – World Interactive Network Focused on Critical Ultrasound began with a vision: WINFOCUS – One Dream One World. 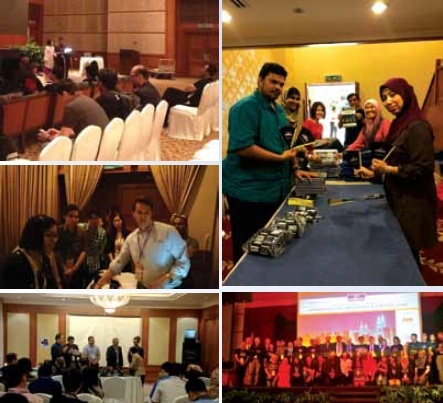 The 10th WINFOCUS World Congress on Ultrasound in Emergency and Critical Care, held at The Royale Chulan Hotel, Kuala Lumpur, from 15th - 19th November 2014, summoned some of the brightest minds in the field of critical ultrasonography globally, the very top and the very best. 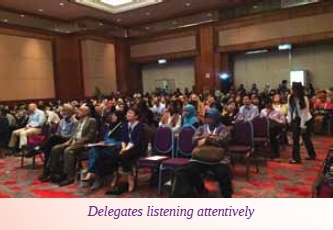 The Malaysian Society of Anaesthesiologists and the College of Anaesthesiologists, together with five local and 15 international professional bodies endorsed this annual congress, which attracted 650 participants, the largest number so far, with over 40% international participation representing 37 countries worldwide. The theme for this congress: WINFOCUS: A Decade of Visual Wisdom illustrated ten momentous years of growth, a major milestone in the WINFOCUS history. The WINFOCUS World Congresses have travelled four different continents, with international courses covering over 60 countries. 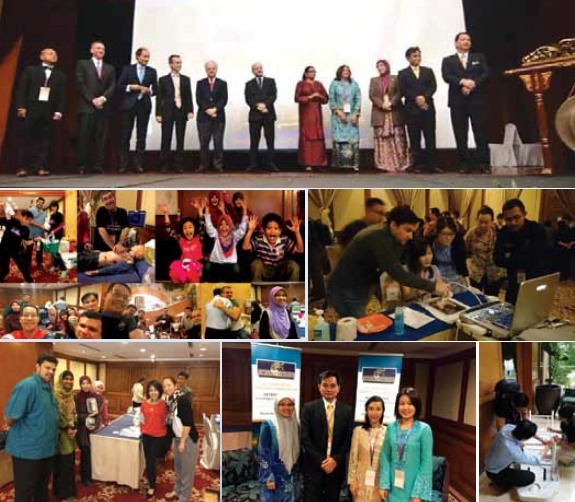 The Critical Ultrasound Journal, Global Ultrasound Education and the participation in the United Nations Infopoverty Programme were among the achievements to date. The pre-congress workshops boasted three ultrasound certification examinations providing a credentialing pathway from novice to expert; six provider courses; and a half-day trainer course. The congress proper integrated 17 plenaries, with three parallel sessions consisting 19 symposia running concurrently with nine workshops. The Director-General of Health Malaysia, also the Congress Advisor, Datuk Dr Noor Hisham Abdullah, officially launched the congress after taking a stroll down memory lane in his keynote lecture, exploring the path of "History of Ultrasound: From Leonardo Da Vinci to Current Times and the Future". He then unveiled the inaugural WINFOCUS Global plaque. This plaque will be passed from one host to another and mark the beginning of a tradition that will continue for many congresses in the future. The WINFOCUS World Congress held for the first time in Malaysia, concluded with a roaring success, the result of the 'A' team effort and commitment both internationally and locally, bringing revolution to the world of critical ultrasonography. The unique camaraderie among the many ultrasound enthusiasts is instrumental in the positive outcome of this meeting. We invite you to join the blizzard of change and be part of the history for our future. To discover what the next Winfocus World Congress has to offer, visit us in Boston, the United States of America, in October 2015; but first, visit our website http://www.winfocus2015.com to plan your trip. 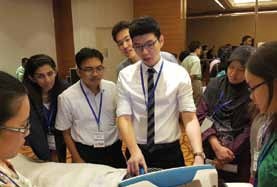 For those who are interested to gain further insight into the enigmatic world of critical ultrasonography, check out www.criticalultrasoundmalaysia.org for updates on local courses. The above workshop was held in the ICU on the 9th and 10th of January, 2015. This was an extension of the Critical Care Ultrasound Workshop which was held at the same venue early last year. Thirty participants from the Departments of Anaesthesiology, Accident and Emergency, as well as General Medicine attended the workshop. On the first day, the participants were divided into four groups and were taught and trained the proper techniques and windows of echocardiography by the sonographers from the various vendors of ultrasound machines. The echocardiography was performed on healthy volunteers. The second day began with short lectures from four faculty members of Winfocus Malaysia: Dr Adi bin Osman (A & E Department, Hospital Raja Permaisuri Bainun, Ipoh, Perak), Dr Julina Md Noor (Senior Lecturer, Faculty of Medicine, UiTM, Selangor), Dr Farina Mohd Salleh (A & E Department, Sungai Buloh Hospital, Selangor) and Dr Kok Meng Sum (Anaesthesiologist, Tung Shin Hospital, Kuala Lumpur). 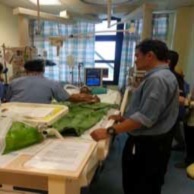 Echocardiography was then performed on the patients in the ICU with the guidance of the faculty members. There was active bedside discussion among the participants: mainly on the optimum and modification of usage of inotropes and vasoconstrictors and the amount of fluids to be given to the patients. The parameters of the ventilators were adjusted in correlation with ultrasound findings of the lungs. The workshop ended with a short discussion on the pitfalls of the echocardiography in the ICU, and presentation of appreciation to the faculty members. It is hoped that ultrasound and echocardiography are to be fully utilised to improve the outcome of the patients in the emergency and critical care settings. We would like to extend our appreciation to the vendors for making this workshop successful: IDS Medical Systems (M) Sdn Bhd, Absolmed Sdn Bhd, Jebsen and Jessen Technology Healthcare, LAC Medical Supplies Sdn Bhd, representing G.E. Medical, Sonosite, Esaote and Samsung Medison respectively. We would like to thank Dr Hj Ahmad Zaini Bin Mohd Salleh for his support towards the successful organisation of the workshop and the faculty members for their unwavering guidance. The month of January was filled with chatter. Excitement engulfed the vast majority as we commenced the New Year. No thoughts were spared to the life of conferences and the world of neuroanaesthesia activities. February came along and the excitement and merriment of ushering the New Year was settling. Thoughts of work processes, conferences and planning of neuroanaesthesia activities appeared to be forming the forefront. Dr Lim Wee Leong, informed us of the upcoming 16th ASNACC, at Busan Korea, and forwarded a timely email to the Neuroanaesthesia Special Interest Group. Chatter and discussion ensued about the programme, the feasibility of attending the conference and tons more. Suffice to say, the need to travel, the quest for the betterment of knowledge, the desire to parallel the best in our field proved potent. The merry band of three, Drs Zarina Abu Kasim, Hui Mun Tsong and myself from Hospital Kuala Lumpur promptly registered for the conference with excitement. At long last, we excitedly landed in Busan, Korea, brimmed with enthusiasm to attend a purely neuroanaesthesia conference and to be in midst with contemporaries who share the same passion and same concerns in Neuroanaesthesia. The conference was held at the Grand Haeundae Hotel, Busan, Korea. A bustling metropolitan city, Busan provided a picturesque backdrop for the conference. Home to the most famous and beautiful beach, this city boasts a reputation as a world-class city of tourism and culture. A group of 300 neuroanaesthesiologists congregated for this meet, representing ASNACC membership countries - India, Indonesia, Korea, Philippines, Singapore and Thailand. The Malaysian contingent, to our delight, grew in numbers, with the presence of Dr Hari Krishnan and Dr Peter Tan. The scientific programme was tailored to deal with the vast complexities of neurosurgery and its neuroanaesthesia concerns, expertise and approaches. Invited speakers were engaging, adding great astute to an already rich scientific programme. Participants were exposed to workshops, symposia, panel discussions and poster presentations. I was given the opportunity to represent our country as 'liaison delegate' for Malaysia at the ASNACC. My personal quest was to include Malaysia as a member of the ASNACC. Arising from humble roots, the Neuro Special Interest Group winged under the College of Anaesthesiologists, has emerged a strong force in strength of numbers; skills and academia. We are more than ready to make our debut as a member of the ASNACC. 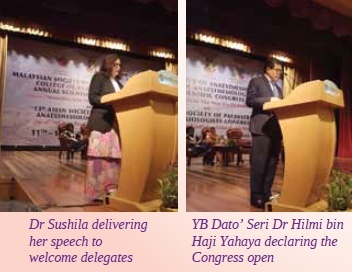 Dr Hari Hara Dash (India), past president, and Dr Tatang Bisri (Indonesia), the incumbent president of the ASNACC, were more than welcoming in the inclusion of Malaysia at the ASNACC. The cards are in the deck and not before long, Malaysia will be a proud member of the ASNACC. The conference itself was intense and engaging. Standing out were questions and answer sessions at the end of each presentation. Lively amidst strong opinions, these sessions complemented each presentation. Now who said Asians were questions and opinion shy? 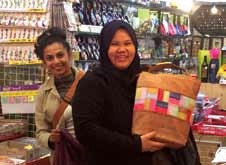 We enjoyed ourselves immensely with the cultural activities and indulged in retail therapy once the conference days come to its end. The markets, the slow tempo of the cultural performances, the clean city with its large malls, brought out the explorers within us. We came back rejuvenated with excitement, with much anticipated pride as Malaysia gets ready to take its place as member of the ASNACC. It is my hope that we can play host to an ASNACC meet in the distant future. Till then... Annyeong from Busan, Korea. World Anaesthesia Day commemorates the first successful demonstration of ether anaesthesia at the Massachusetts General Hospital, USA, on 16th October 1846. In medical history, this was one of the greatest discoveries, allowing patients to undergo surgery without pain during operation. After this significant historic event, Anaesthesia Day is celebrated annually to mark the start of Anaesthesiology. The theme chosen by the Malaysian Society of Anaesthesiologists for this year's event was 'Anaesthesiologist – Catalyst of Quality Care, Icon of Innovation'. Anaesthesiologists are no longer faces behind the mask. These unsung heroes provide risk management of patients before surgery, care and safety during surgery, and pain management after surgery. 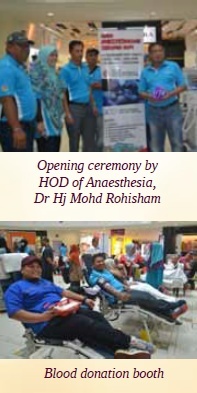 The Department of Anaesthesiology and Intensive Care, Hospital Tengku Ampuan Rahimah, Klang, Selangor, organised activities at Shah Alam Convention Centre (SACC) Mall, on 8th November 2014. The opening ceremony was held at the concourse area on the ground floor of SACC and was graced by the attendance of Dr Hj Mohd Rohisham bin Zainal Abidin, the Head of the Department of Anaesthesiology and Intensive Care, as well as our specialists, medical officers, nurses, allied health staff medical students from MSU and members of the public. In our exhibition, the Mock Operation Theatre and ICU setting attracted the public the most. Dr Sherliza Wahab, our Organising Committee Chairperson, highlighted our role in caring for our patient's life and safety during surgery. All the information were well-disseminated for the general public to show the importance of the role and duties of anaesthesiologists. At the Centre, we had an exhibition of posters and photos which displayed our pre-operative assessments, intra-operative anaesthetic services, intensive care unit and post-operative pain management. Free medical checkup which included blood glucose and blood pressure measurement and BMI check were conducted and were well received by the public. The blood donation booth has brought forth 45 donors in a day. The organ donation booth also managed to gather 17 organ pledgers. A skills station equipped with intubation apparatus, CPR mannequins and airway adjuncts, which allowed us to teach and demonstrate the Basic Life Support and intubations, to the public and medical students. Dr Lee Meng Fei demonstrated to the public the correct skills of CPR and how to use defibrillator and intubation. We would like to thank the organising committee members, our department staff, and public support for making the Anaesthesia day celebration a success. "And so, my fellow Americans: ask not what your country can do for you-ask what you can do for your country". This is a famous quote from President Kennedy's inaugural address made on 20th January 1961. And ever since then, every now and then you would hear someone repeating the words again to call the people of a nation to contribute more to the well-being of a country. And so, my fellow members: ask not what you can do for the Society-ask what the MSA and the CoA can do for you. 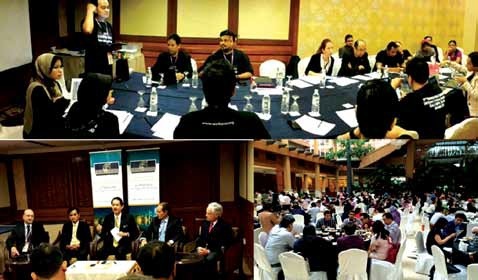 And why I am bringing this up is that we have just concluded our recent Annual General Meeting in April 2015 at the KL Hilton with about 36 members attending and a new committee voted in, as well as the Annual Scientific Congress in Penang attended by well over 1000 delegates. The Society and the College represent the voices of nearly 700 members and it was good to see a mix of senior and experienced anaesthesiologists, as well as the juniors turning up. It was good to see the camaraderie between the seniors and juniors, as well as the anaesthesiologists from the public sector, private sector and universities mingling together for a common goal. It was also quite clear from the AGM that the road ahead for the practice of anaesthesiology in the country is paved with lots of challenges especially for those in private practice now. Areas of concern include medico-legal issues and litigations, interference by insurance companies, fee schedules and Goods and Services Tax (GST). I covered a bit of the impact of GST in my previous article early this year. As I write this, we are into our fourth month of collecting GST for providing healthcare services to the public. It has not been without issues. We are seeing more work being done especially with the generation of invoices and keeping track of all our accounts in order to make sure that we do not run afoul of any rules set by the Customs and Excise Department. For those who are in group practices, the revenue sharing has also been made complicated with generation of invoices to each other's companies to somewhat balance the books. I would not go into the details of this, but suffice to say I had to pop a couple of tablets to relieve the migraine induced by the mind boggling number crunching exercises of figuring out input tax, output tax, amount invoiced, amount collected, amount due and bad debts to be written off, etcetera. One thing is clear though, there has been disappointment expressed among a number of specialists, not only anaesthesiologists but surgeons and physicians as well on how despite multiple attempts, to explain that patients should not be taxed for seeking healthcare services, it did not get the appropriate responses from the relevant authorities. Is this a sign of the times to come where decisions are made without taking into account opinions from the most important people who are going to be affected by the decisions, i.e. the patients and the doctors providing the healthcare services themselves? Bear in mind, a large number of our private hospitals are indirectly government and state investment linked owned companies, as such, adequate consultation should have been sought from the stakeholders before a decision was finalised. The fact that up to a few days before the implementation date, that there were conflicting statements from the higher authorities with regards to GST did not help at all. I sincerely hope that both the senior management of the private hospitals, as well as clinicians can make decisions that will mutually benefit each other but not at the expense of one side being at a disadvantage compared to the other. There can never be a perfect solution for all problems, but we do need to remind ourselves that profit is not the only thing that should be in the minds of the private hospital shareholders. They need to be accountable as well so as not to balloon the cost of private healthcare out of reach of the ordinary citizens. I am sure we have read in the papers recently of patients complaining of exorbitant medical bills and the scapegoats to take the blame are the doctors unfortunately, whose fees are very much strictly regulated and in accordance to the fee schedule for the services rendered. The public seems to not raise so much concern with the portion of the bill that is unregulated which is the hospital portion. As anaesthesiologists working in private practice, you tend to realise after a while that the income from private practice will only be there when you are physically at work. You do not get paid on days that you are unwell or on sick leave. But bills and loans have to be paid. There are often times when you contemplate to have an alternative source of income that would be able to sustain you during these rainy days, or better still after you retire, to become your avenue for passive income. We often want to start something to become an entrepreneur, but stop ourselves when we think that it's too hard. As such, I decided to speak to someone who actually decided to do the brave thing of becoming an entrepreneur. I would like to share with you the story of Dr Norezalee Ahmad or Ezalee, as he is more famously known, an anaesthesiologist actively practising in a private hospital in Johor. I asked him on why he was keen to try being an entrepreneur and not just stick to the comfort zone of being an anaesthesiologist. "I have been mooting the idea of becoming an entrepreneur for a long time. Robert Kiyosaki's Rich Dad Poor Dad book was my inspiration. The concept of cash flow quadrants (Employee/Self-employed/Business Owner/Investor) fuelled my desire further to become a business owner. However, without sufficient capital, it was difficult to put this into action. Alhamdulillah after a few years in private practice, I manage to accumulate enough capital to make my dreams come true. I have looked and researched into many types of businesses such as franchise, petrol kiosk, retail shop, coin-operated laundry and food and beverage. I have even joined a few multi-level marketing businesses but nothing seemed to strike a chord. I have even tried to venture into the stock market and almost got burnt. Nonetheless, all these experiences were lessons learnt," he said. He added a very important lesson that he sticks to, "There are two key rules in investment: First, never lose your capital and second, by all means, never forget the first rule". I asked him, "Why the hotel and hospitality industry when the hospital is what you are most used to?" His answer was, "It was not by chance. It was my wife's idea to start our own hotel business. The light bulb moment came when she mentioned that there were still not enough hotels in Johor Bahru. I immediately sprang into action. Since I do not own any shop/office property, I drove around looking for a suitable site. As in any other business it is all about location, location, location. Lo and behold, I found a location right under my nose, nearby my workplace, just two minutes' drive from Columbia Asia Hospital Nusajaya. Believing that "commitment is that turning point in your life when you seize the moment and convert it into an opportunity to alter your destiny", I wasted no time to call up the owners one by one and found three adjacent properties that were suitable for a 40-bedded hotel. He adds, "As my wife has worked in the hospitality industry for more than a decade, she has the experience mostly in sales and marketing. As for myself, I have never been involved in hospitality industry in any way whatsoever, except at the hospital." I am sure it would have been a daunting experience to do this. When asked whether he had attended any classes or lectures to help prepare for this new adventure, he answered rather coyly, "I am a self-help learner. Nowadays, anyone can learn almost anything using Google. Yes, I googled the Internet for materials on how to start a hotel business from business planning, financial projection, hotel designing and classification, etc. Nevertheless, the need for human touch is important too. Through my wife's contact with people in the industry, I managed to come up with a project paper on Hotel Ariana @ Iskandar." Dr Ezalee added, "As in any other business, I told myself, the customer is always right. Give what the customers want. To know what the customer wants, I even went to great lengths to be a customer myself. I stayed at various budget hotels wherever I go for vacation in Malaysia, even when I could afford to stay at 5-star hotels. These experiences gave me insights to the design and amenity requirements of Hotel Ariana, for example, the need for water dispenser, adequacy of space to perform Solah (prayer), the type of pillow that customer would prefer, and so on." "I also learnt, now that I am an employer that it comes with greater responsibility. Employees come in various quirks and characters. Some are good workers, obedient and resourceful, they work honestly to earn a living. However, there are a few who are just there to take a ride. They hang around during quiet days but when the hotel gets busier they never turn up for work. No matter what type of workers I have, I still try my best to take care of their welfare," he adds. Dr Ezalee gains inspiration from the story of one of the most famous persons in the hotel industry. He is none other than Conrad Hilton who also happens to have a superstar great granddaughter whose first name is Paris. Conrad Hilton entered the hotel business in Cisco, Texas, in 1919. On his way to buy a bank, Hilton purchased The Mobley Hotel instead and grew it into a hotel empire. "His story embodies what I am trying to do now. I ventured headlong into the hospitality business which is way off from my working background in anaesthesia. At the moment, Hotel Ariana @ Iskandar is a standalone hotel. I hope to build a chain of hotels under the brand name Hotel Ariana in Malaysia, In shaa Allah. Businessmen always figure out the bigger picture. Expansion plans had already begun even before the official grand opening of Hotel Ariana. Yes, hopefully, there will be a sister hotel in Johor Bahru in the near future. While in the meantime, I am in the midst of setting up a seminar/meeting room facility nearby with a capacity to seat more than 50 pax or more to complement the hotel. It will be ready in late June. I am sure that Dr Ezalee would have had his shares of turbulent moments during the start of his venture. "Oh, yes. The most difficult moment was towards the completion of construction of the hotel when I almost ran out of funds to finance the venture. Unexpected problems and last minute design alterations had escalated the cost of the project over the initial estimated budget. I have spent almost all my life savings to fund the project. I also re-mortgaged the house to raise capital. Since this is my first business, I failed to secure SME loans with any of the banks which I had initially factored in the budget. It was a hard time indeed. However, failure was not an option especially when I was at the last hurdle. Fortunately, for the grace of Allah, He provided me, suffice to say, help from unexpected sources. As a Muslim I strongly believe in divine intervention," he added with a grateful smile. "To further reiterate this point, I would also like to share a story on how I met my current hotel manager. We met by chance during an opening of a new cafe in town. He was then working on another budget hotel project. My intention to meet him was to ask for advice on hotel operational matters which my wife and I were unfamiliar with, such as information on hotel front office operations and housekeeping. To be honest, anyone can build a hotel but many have no idea on how to run it. To cut a long story short, a month later, he approached me to ask if I would like to employ him as hotel manager at Hotel Ariana. He is not only competent in hotel operations but also in hotel pre-opening set up including premise approval and business licensing. Again Allah has provided for me from an unexpected source. So with all this excitement and challenges of running a hotel, I was curious to know how Dr Ezalee would still find time to practise anaesthesiology and his other passion which is running. To this, his reply was, "I still carry on as usual with my life as an anaesthesiologist. Being a business owner, I have people to work for me. I only need to make decisions and approval on financial matters. When you lead a doctor's life with on calls and you also have to oversee the running of a hotel, you make do with what free time you have left for yourself. I still run on my treadmill in the morning before work. Every now and then, I challenge myself to run half marathons (not yet a full marathoner). I run for health (noncompetitive) so just finishing a run is an achievement already. I do value family times together. My family always comes first. I usually take them to my favourite vacation spots where one can find sun, sand and sea. When asked of his biggest achievement to date, his answer was, "My prayers and dreams have come true. To own a hotel is an achievement by itself. I would rather like to say that my biggest achievement is yet to come. Who knows in the future Hotel Ariana brand will be as well-known as the Hilton brand?" I did ask him without being too negative was there ever a point when it felt too much and he had to give it up? To this, his reply was, "Oh yes! As with life, there are always ups and downs but success consists of getting up one more time when you fall. Failure is never an option. Get out of your comfort zone. Don't be comfortable with what you have. Being comfortable is your enemy. Strive for your dream. Always challenge yourself. Nothing ventured, nothing gained," he added before I thanked and ended the interview with him. Folks, I hope we have learnt a thing or two from Dr Ezalee on the power of positive thinking and perseverance. It's not easy, but with hard work, lots of luck and divine blessings, we could all succeed in pursuing whatever we dream of. We wish him all the best in his hotel business. I have just taken over the helm as the President of College of Anaesthesiologists at the last Annual General Meeting held on the 26th of April 2015. I thank you for entrusting me with this important post and I assure you that my Council (2015-2016) and I will work hard to deliver and to serve you. As I write this message, I am still recovering from the Annual Scientific Congress MSA/CoA/ASPA. I would like to yet again, congratulate the Local Organising Chairperson, Dato' Dr Jahizah Hassan and her team, the Main Organising Committee and both the Scientific Committees on a thumping success! Well done! The CoA is the "academic arm" of anaesthesiologists in the country. The activities of the College include credentialing and accreditation, development of Consensus Statements, Clinical Practice Guidelines and Standards of Care, Quality Assurance and Clinical Audit, organising Sub-specialty Scientific meetings, international networking and liaison with sister organisations overseas, and assisting in the facilitation of postgraduate training. The membership of the CoA as at 15th May 2015, is 184 comprising 43 Fellows, 140 ordinary members and one candidate member. Correspondingly, the registration on the National Specialist Register is 555 with 32 for Intensive Care. The AMM Constitution Review Committee has incorporated the setting up of Chapters into the constitutional amendments to be presented at the Academy Annual General Meeting in August 2015. What does this mean? The Academy Council has proposed that chapters be formed to support the development of the subspecialties. The CoA could consider getting affiliated societies and the SIGS to form chapters within the College. The Chapters will function independently and look into the conduct of the subspecialty training and examinations. The Council of the Chapter will have a chairman and a minimum of two committee members. Continuing professional development (CPD) enables us to maintain and improve our performance across all areas of our professional work. Our College has been given the task to provide/accredit CPD activities. Dr Raveenthiran Rasiah has been nominated as the administrator. 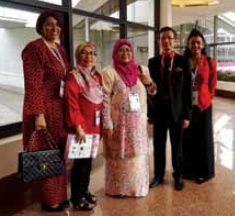 A meeting was held on 23rd March 2015, chaired by the Deputy Director-General of Health Malaysia, and it was agreed that the Subspecialty Training Committee will come under the purview of the Education Committee of the Malaysian Medical Council. It has been suggested that the Subspecialty Training committee has equal representation from the Ministry of Health and the AMM. The AMM representatives could come from both the universities and the private sector. I urge all members to update your membership fees. I also request those of you who have not joined CoA to do as I reiterate that it is the academic arm for anaesthesiologists. Please get inducted into the CoA! I hope the Convenors will take up the challenge of forming Chapters within the CoA. The Regional Anaesthesia SIG is in the process of setting up a web-base registry. I will keep the members updated on this. The guideline is completed and awaiting peer-review. This is a new guideline to be developed for 2015-2016. There have been so many queries of the validity of the Consent which was also brought up at the AGM in April 2015. I too, am at a loss and I appropriately asked assistance from my Council. 'It is generally believed that for an acceptable standard of care, the consent for an invasive procedure has to be taken a reasonable period before the procedure. A reasonable period would be not more than seven days. If during this period, there is a change in the circumstances or condition of the patient requiring a review of the procedure initially planned, for which consent had been taken, then it is incumbent on the practitioner to obtain a fresh consent. "... would be not more than seven days" means it is preferable and advisable to take the consent within seven days of the procedure, but it is not a must. "...must be taken if the delay has been more than 30 days" means it is mandatory to re-take the consent if it is more than 30 days. In any case, "... when the patient is seen on admission ..., it is best to remind him/her about the proposed procedure ..." This is self-explanatory. It is also fully accepted that a patient may withdraw consent at any time before the operation, regardless of whether a form was signed or not. Next year will be the 50th Anniversary of the Academy of Medicine of Malaysia. The CoA as part of the Academy, will have an important role to play in ensuring the success of the celebrations. We will organise events throughout the year to celebrate the golden jubilee including a grand Gala night at the ASC of the MSA/CoA. We are in the midst of collecting the history of CoA and memorabilia. If any members would like to contribute, you may contact me, Assoc Prof Dr Raha Ab Rahman, or Dr Mohamed Namazie Ibrahim who has kindly agreed to pen the history of CoA for the commemorative book that will be released by the AMM. Theme: "Major Incident & Disaster Management: Bridging the Gap"
This meeting will also see the Fellowship conferment and induction of members. We will be celebrating National Anaesthesia Day in the month of October 2015, and we are in the midst of coming up with an appropriate theme for the event. The Department of Anaesthesiology, Hospital Kuala Lumpur, are already in the midst of organising a run and other fun activities in conjunction with the event. Watch out for more details in the coming weeks. I anticipate a busy year ahead, so we, the Council, will need all the support from the members. We welcome suggestions and opinions.